Welcome, and thanks for shopping. Papa’s nuts are all marinated and hand smoked on the beautiful Greig Farm in Red Hook, right in the heart of the Hudson Valley. Our jerkies are also made in the Hudson Valley using only Grade A American beef from whole top rounds cut in huge slices and marinated with only natural ingredients. 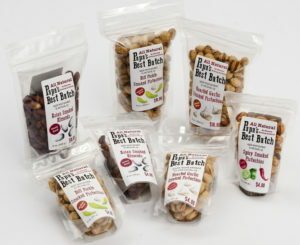 All our snacks are gluten-free and made with only simple, straight-forward recipes containing only natural ingredients.